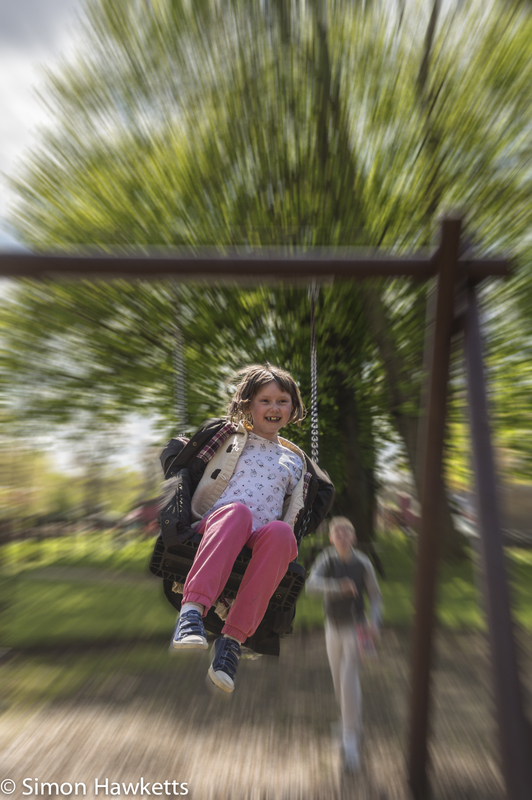 Yesterday I posted a picture which used the Photoshop radial blur filter to create an image which had quite a dramatic look and was noticeably different from the original. I thought the result was quite good but one comment I received was that the effect was not really appropriate for that type of filter. Having thought again about the picture I think the comment was a fair and reasonable one so I thought I would have a go at producing a picture which used the radial blur in a more appropriate way. This picture is another one of my Daughter Emma but this picture has some motion in and I think does make more appropriate use of this filter, but I have to say that it is easy to see how it is possible to get carried away with Photoshop filters. Thanks for your comment – yes I think that is how we learn and as I’m learning more of what Photoshop can do it also influences what I’m likely to photograph as well. For example, now I’ve found how easy it is to copy sections from one image to another, when I’m next in the situation where I want to take a shot but someone is in the way I’ll just make sure that I have more that one picture which covers the subject I want and it will give me more options later when I post-process.